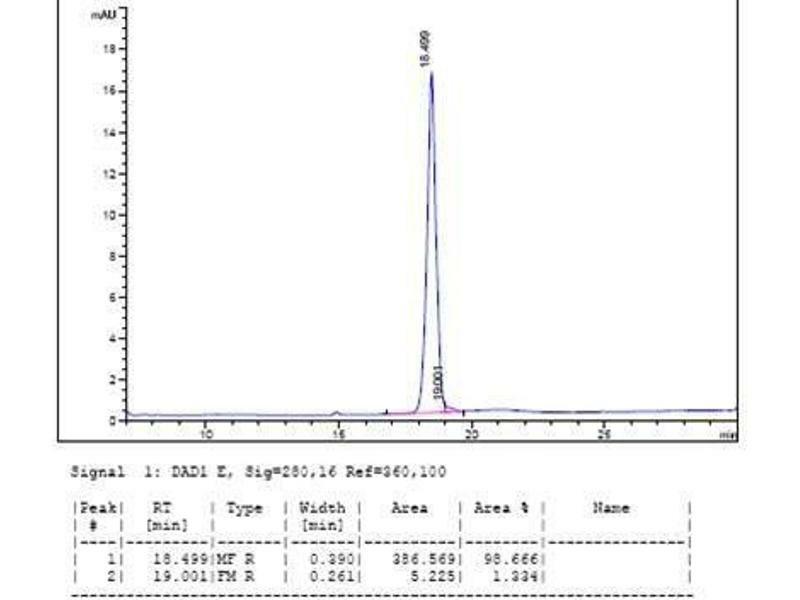 5 μg of EPO-α, Human was resolved with SDS-PAGE under reducing (R) and non-reducing (N) conditions and visualized by Coomassie Blue staining. EPO-α, Human stimulates cell proliferation of TF-1 cells. 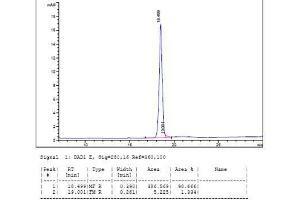 The ED50 for this effect 0.45ng/mL. Background Erythropoietin (EPO), a glycoprotein produced primarily by the kidney, is the principal factor that regulates erythropoiesis by stimulating the proliferation and differentiation of erythroid progenitor cells. 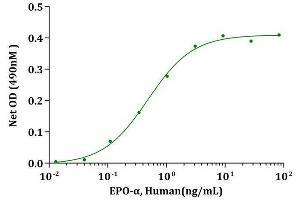 The production of EPO by kidney cells is increased in response to hypoxia or anemia. Recombinant EPO has been approved for the treatment of anemia associated with chronic renal failure as well as for anemia of AZT treated AIDS patients.The cDNAs for EPO have been cloned from human, mouse, canine, etc. 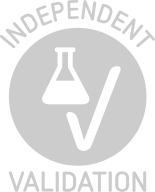 The mature proteins from the various species are highly conserved, exhibiting greater than 80 % sequence identity at the amino acid level. 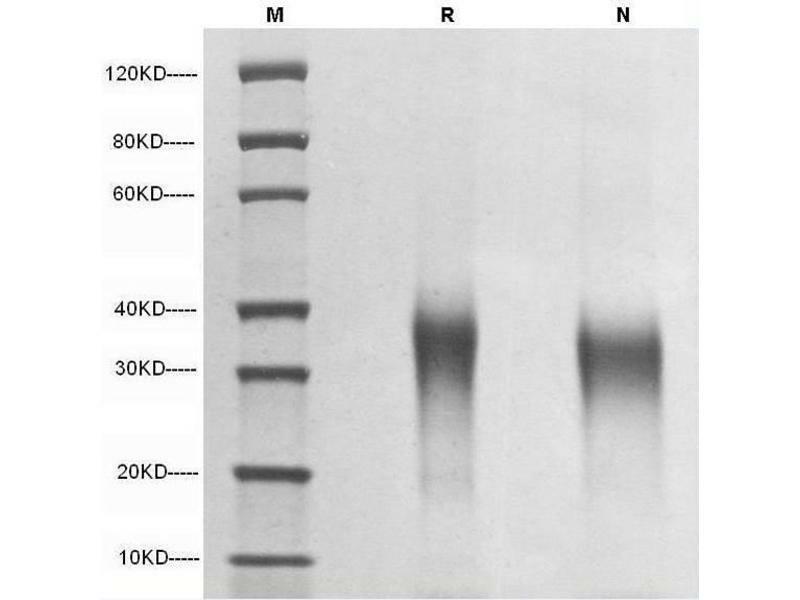 Human EPO cDNA encodes a 193 amino acid residue precursor protein that is processed to yield a 165 amino acid residue mature protein. EPO contains one O-linked and three N-linked glycosylation sites. Glycosylation of EPO is required for EPO biological activities in vivo. EPO exhibits structural as well as amino sequence identity to the amino terminal 153 amino acid region of thrombopoietin. Synonyms: Human EPO-alpha, EPO-alpha, EPO alpha, EPOalpha, h-EPO-alpha, rh-AEPO-alpha, recombinant human EPO-alpha, recombinant EPO-alpha, EPO. Molecular Weight 21 kDa, observed 26-36 kDa in SDS-PAGE. 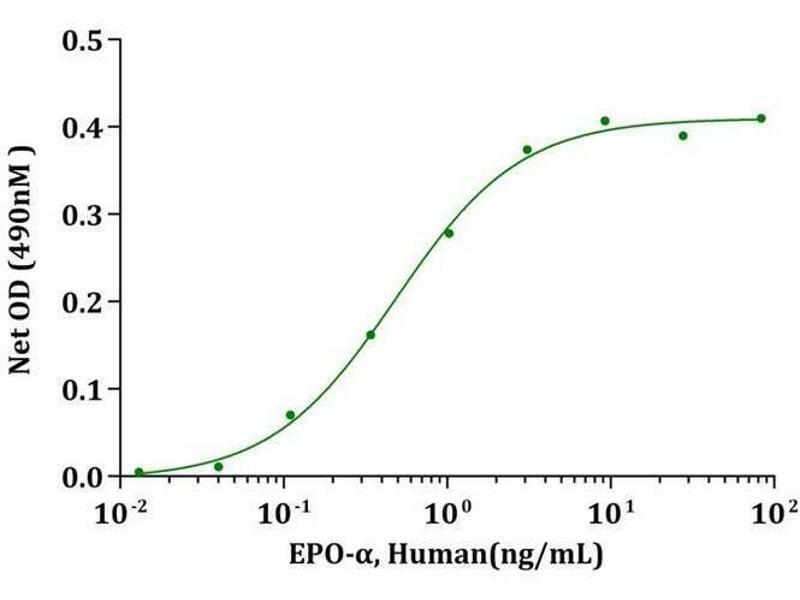 Application Notes Mature human EPO, containing 166 amino acid residues, has a predicted molecular mass of approximately 21 kDa. 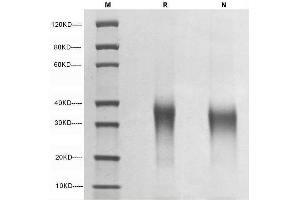 As a result of glycosylation, the recombinant protein migrates with an apparent molecular mass of 26-36 kDa in SDS-PAGE. Storage Comment Lyophilized recombinant human EPO remains stable up to 6 months at -80 °C from date of receipt. Upon reconstitution, rhEPO should be stable up to 1 week at 4 °C or up to 2 months at -20 °C.